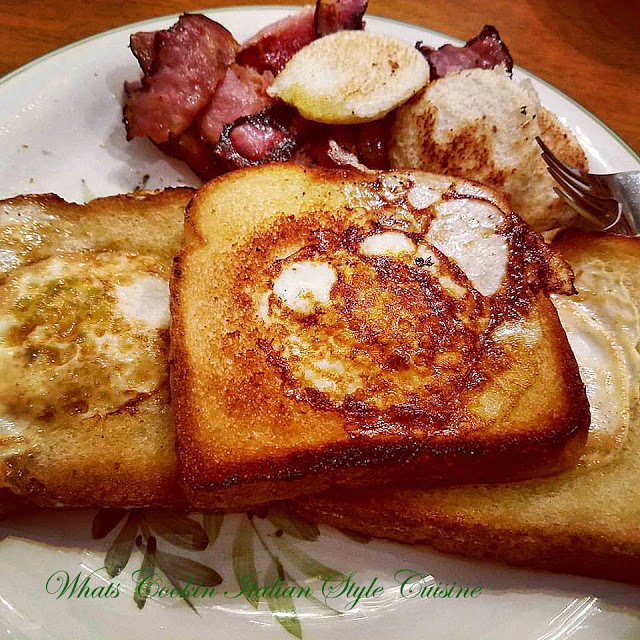 This Egg in the hole has become the favorite in our homes. Come see this delicious breakfast treat! I never thought this post of this photo had so many different titles. When I added this one to Instagram, I had so many comments on how they remembered this as a kid and loved eggs in a hole, that's what we called them. 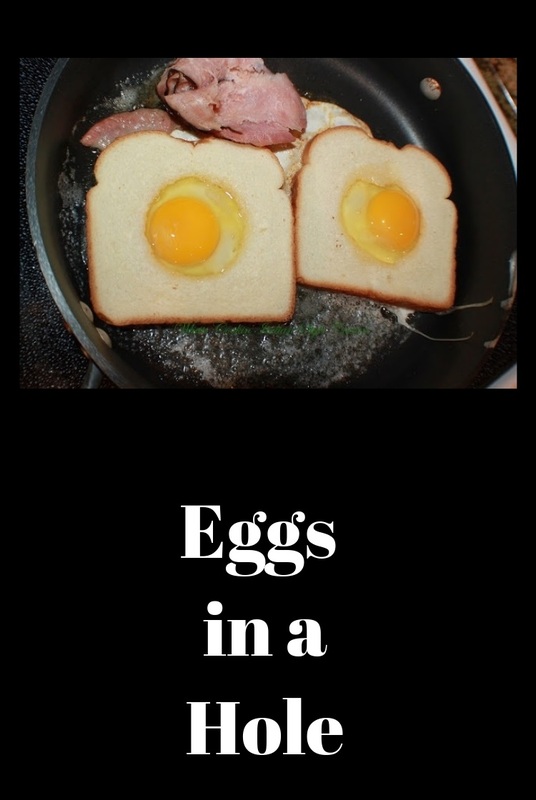 However, as my children were growing up, eggs in a hole was called something different by many of their friends and family members. Most Restaurants had this breakfast on their menu and were called eggs in a hole. I took a poll on the names their family called this dish over the years. "Toad in a hole" was the most popular. Some called them "Eggs in a basket", another called this "Birdie in a nest" and last I saw was a "One eyed Texan". That was just to name the top ones! Wow, so many names for one delicious breakfast! It is very easy to make and quick too. Check out the simple ingredients and instructions. Enjoy! Fun to Make and Fun to Eat! 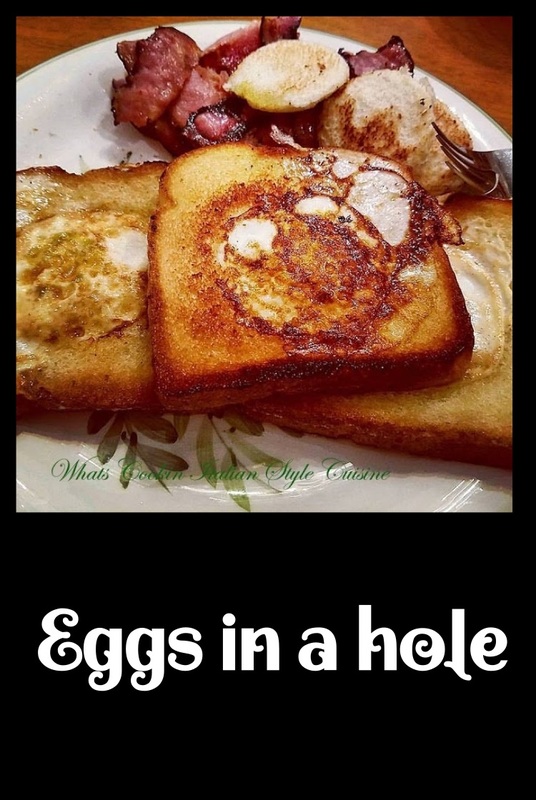 I know these have a funny name egg in the hole was something I never gave much thought to the name as a child. Now reading how so many people called them differently, I guess I would have never known about them, thank goodness for the internet. All I know is growing up my kids loved these, they were fun to make, fun to eat and I love all the names this one breakfast has. Hooray for Toad in a hole, Egg in a hole, birdie in a nest and all the rest of those nicknames, this is a winner breakfast! Sides, bacon, ham, sausages, breakfast potatoes cooked to package instructions. Heat the pan over medium heat with a few tablespoons of butter or other preferred oil sprays. 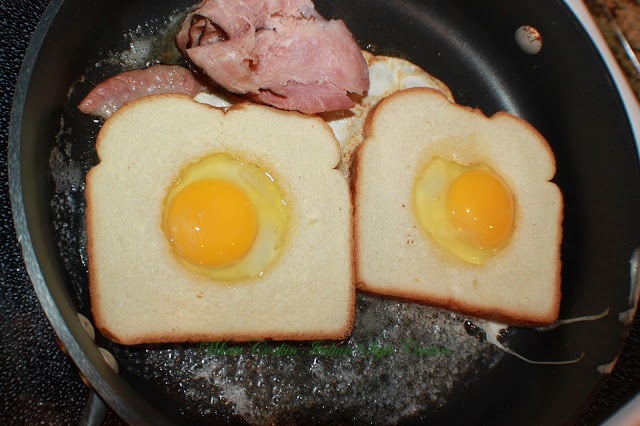 Place the cut bread in the pan, crack the egg, add to the center of the cut out part of the bread. Cook until you see the bottom of the bread start to toast then flip. Salt and pepper . Cook until the egg is set to the way you like them. Place the cheese over the top if using. I also place the cut circles and toast them in the pan. Don't Go Without Trying Out These Fun Breakfast Treats! Any name works for me, but we called them eggs in a basket. Delicious for sure!